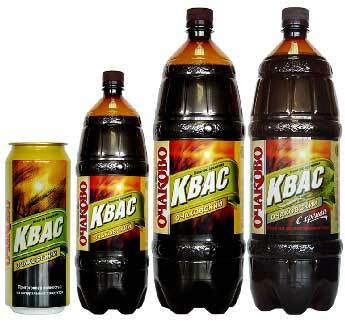 Kvass in a variety of soda-like containers. Kvass is a traditional Russian beverage that is made with a variety of grains, or most commonly is not really a beer at all but made with stale rye bread. More modern versions employ a combination of barley malt and cheaper grains such as rye or buckwheat. Fruit and spice additions like raisins, lemon, and mint are also added for flavorings to smooth out the beverage that is generally made with excess ingredients and fermented with simple bread yeast. Today, the beverage even takes on an almost soda-like status, and has some history in the post Soviet era as being championed as the true Russian drink, as opposed to foreign drinks like Coca-Cola. 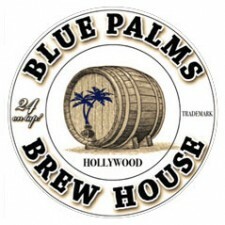 On this sacred day at Blue Palms, over a dozen members of the website BeerAdvocate were able to sample the beer. Eventually, they would review it. With this rare opportunity to tick a kvass, few could pass up the allure. Personally, I truly did enjoy this. It was almost like a sweetened carbonated herbal tea. My friend Greg, also known as Wethorseblanket, concurred as we sipped and refreshed our palates. It later became evident that not everyone actually enjoyed the beer/kvass as much as we did, though everyone was pleased to at least try this exotic treat. Not everyone would end up feeling the same way come the end of this story. This entry was posted in Features and tagged feature, kvass, woodshop. Bookmark the permalink. I applaud everyone’s eagerness to tick off kvas from their list. But are you ready for this? It’s readily available at virtually every Russian market in SoCal! There are probably 30 such stores in the Fairfax district alone (look for Cyrillic writing on the windows and awnings) where you can find a couple of brands. However, as you’ve discovered, it’s not something you’ll be buying and drinking over and over again. Incidentally, I lived in Russia for a while…and not once did I see any kvas. Na zdarovye. Brian, thanks for your comments. You are right that the kvass is around if you know where to look. Most beer geeks just don’t go to Russian markets looking to buy beer. I’ve also heard it is a great place to get three liters of Euro Strong Ale. Yum.